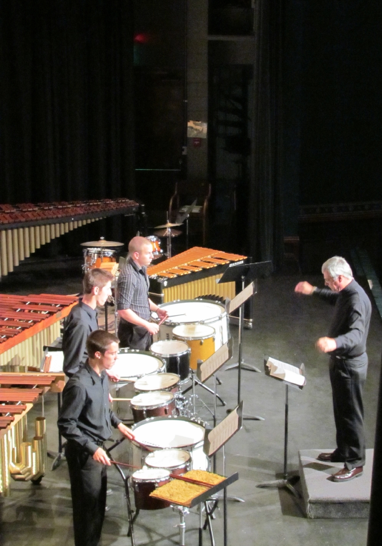 Philip Parker teaches percussion, music theory and 20th century music at Arkansas Tech University. As a composer, Mr. Parker has been widely commissioned and has published numerous compositions for a variety of media. Major performance venues include the Percussive Arts Society Convention, the International Clarinet Society, the International Trumpet Guild, the International Double Reed Society, the National Flute Association, Music Educators National Conference, Kennedy Center and the College Band Directors National Association Convention. Awards for his music include two winning compositions in the National Flute Association’s international New Music Competition, 2nd prize in the College Orchestra Directors Association international contest, and recipient of a chamber music commission from the National Symphony Orchestra as part of its American Residency program. Additional awards include Honorable Mention for MTNA Distinguished Composer 2013, an Arkansas Arts Council Fellowship, Composer-in Residence with the Fort Smith Symphony and two-time recipient of Arkansas Tech University’s Excellence in Scholarship Award.